Management interface for muting and controlling volume of residents currently speaking. Definition at line 55 of file llfloateractivespeakers.cpp. 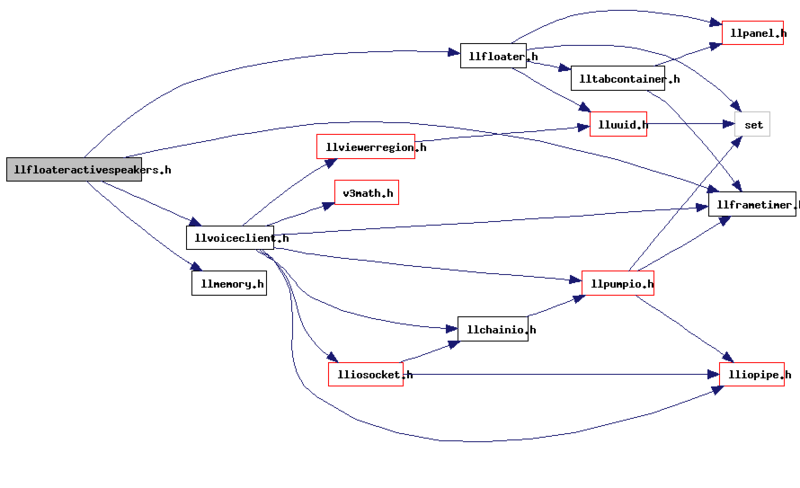 Referenced by LLFloaterActiveSpeakers::createSpeakersPanel(), and main_loop(). Definition at line 54 of file llfloateractivespeakers.cpp. 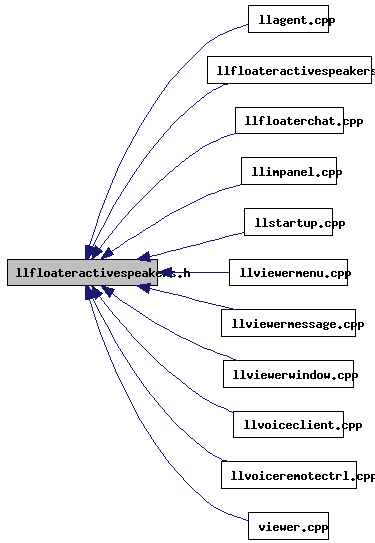 Referenced by cleanup_app(), LLFloaterChat::createSpeakersPanel(), LLAgent::heardChat(), main_loop(), and process_chat_from_simulator().